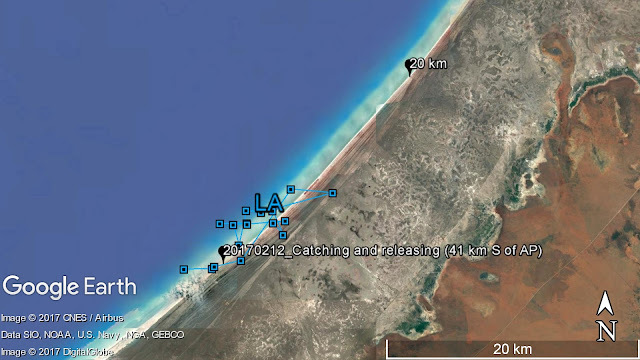 Wader Quest: AWSG Whimbrel tagging; Which one is going to come home first? AWSG Whimbrel tagging; Which one is going to come home first? 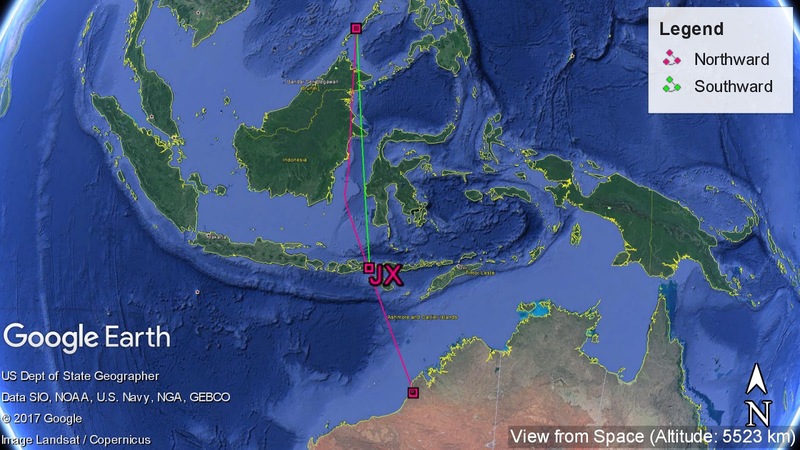 All three Whimbrels are on their way back home! 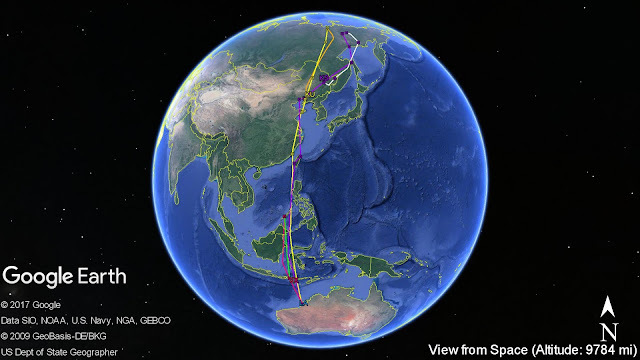 JX, the Whimbrel which didn’t make its way to the breeding ground this season, started its southward migration on 9 Aug 17 after staying in Palawan, the Philippines for 107 days. After flying south for 1,984km with an average speed of 41.3km/h, JX is currently 46km south-east of Bima City in Indonesia. It is uncertain at this moment whether JX is making a stop or is flying continuously. The next transmission in 2-day time will tell us more. 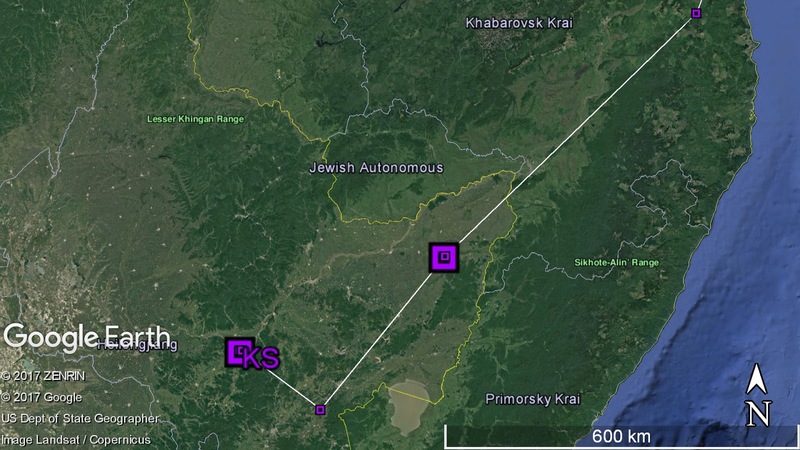 Meanwhile, the other two front runners from the Russian breeding ground have made their first stops in China on their southward journeys. KS crossed the Russian-China border on 3-Aug-17. After landing in Heilongjiang Province, KS flew south-west until it made a north-west turn on 6-Aug-17. It is now about 185km east of Harbin City, in a reservoir called Shuanfeng, which means Double Phoenix. 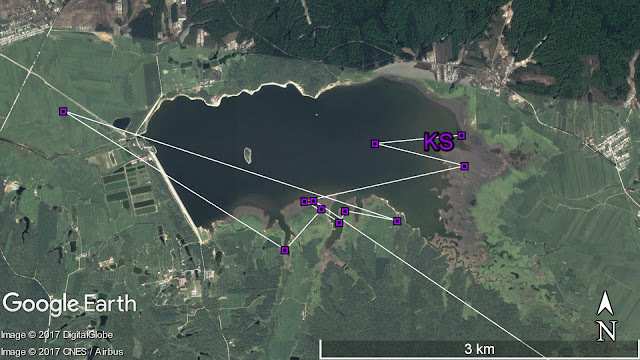 The reservoir was built in 1965 with total area of 175km2 and is associated with the commercial aquaculture of Prussian carp. 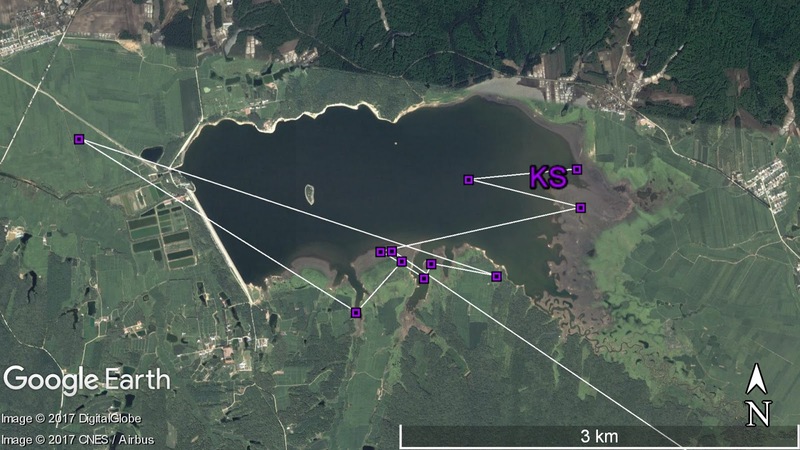 Satellite image of the reservoir does, however, show that there are extensive mud banks suitable for shorebirds. Could this be a place which KS has visited before hence it suddenly changes its flight direction? 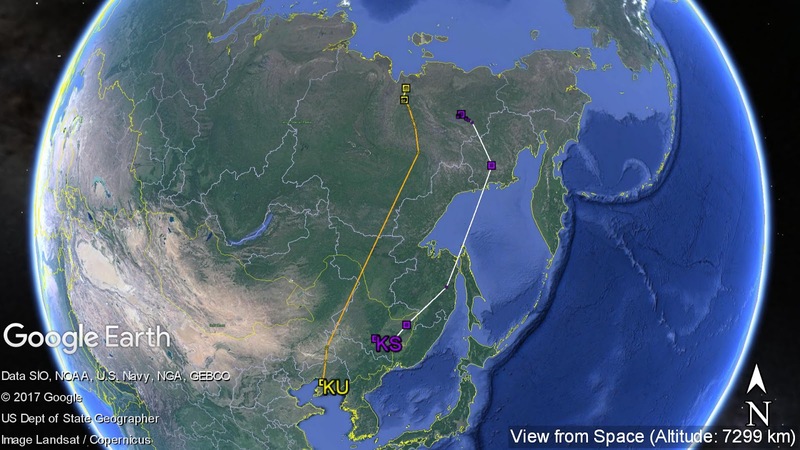 KU made a continuous 4-day flight from Siberia to Liaoning Province, China, with an average speed of 33.7km. It is now at the north-east corner of Bohai Bay near Yingkou, currently utilising aquaculture ponds and mudflat areas. 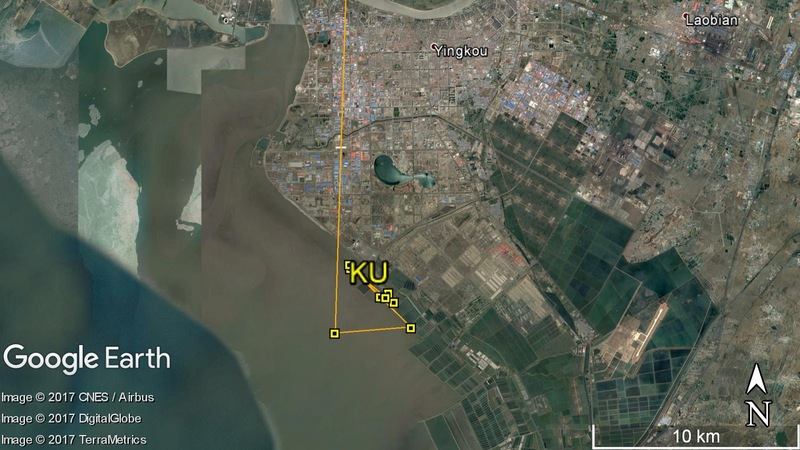 Yingkou is an unprotected important area for waterbirds with a high count of 53,199 individuals in spring 2016, according to the “Yellow Sea-Bohai Region Coordinated Waterbirds Survey 2016”. LA has also made a small change in the area it is using in the past month. Compared to using 43-52km south of the beach entrance from Anna Plain Station in the past 6 months, LA has moved to the 33-40km south area in August.